A century ago, Mendel Dumas bought a pawnshop in Charleston, South Carolina and converted it into a men's store, specializing in work clothes. In 1947, Mendel's sons, Abe and Joe, took over their father's business, moving it to the corner of Society and King Street in 1971, where the store still thrives today. 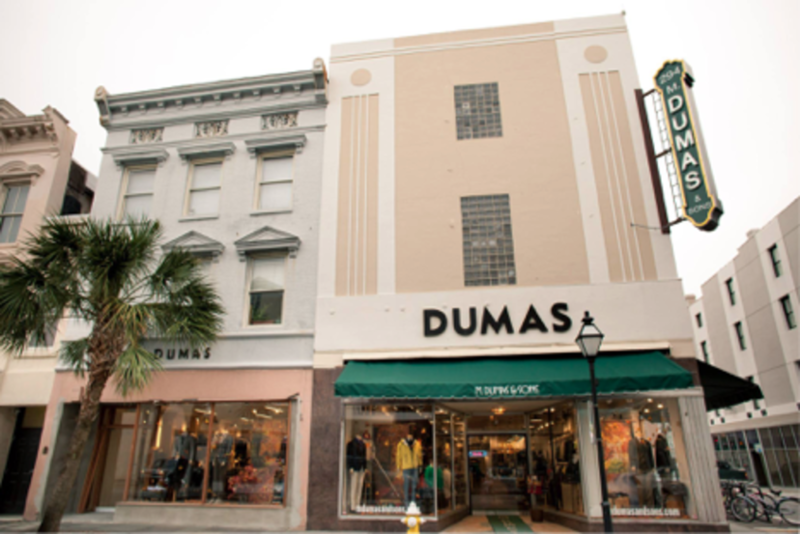 Joe's son, David Dumas, took over the business as its third generation owner in 1990, quickly establishing the store as Charleston's finest purveyor of men's apparel. M. Dumas & Sons recently completed a $2 million historical renovation that preserved the store's unique character and authenticity. M. Dumas has added some important brands along the way, but many of the old favorites have remained. Return Policy: Returns are accepted within 30 days for a full refund. Shipping Policy: Flat Rate US Ground shipping $10.00. Please inquire for expedited shipping costs.